Having a baby is a life changing experience for every mom-to-be. A baby shower is a great opportunity to bring everyone together and celebrate the new baby that is entering into the world! 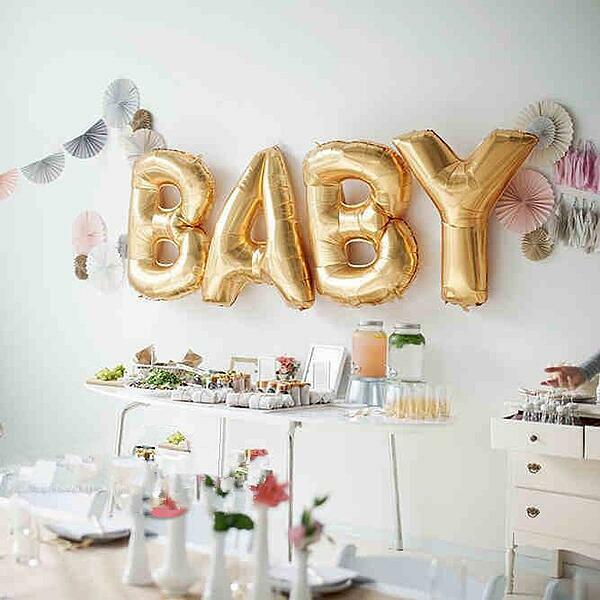 We have put together some of our baby shower ideas and have included everything from food to entertainment ideas! If you're looking for an inexpensive decoration that will have everyone talking, try foil balloons! They can be placed above a table to spell out the baby's name or even "baby" "oh baby", or "oh boy!" Whether you're a first time mom or already have children, having a baby is one of the most beautiful and life-changing experiences a woman can go through. Being a mom to a newborn can be stressful so have your friends and family write advice cards for you! Sometimes positivity makes all the difference for a mom when they are up in the middle of the night exhausted with their baby. 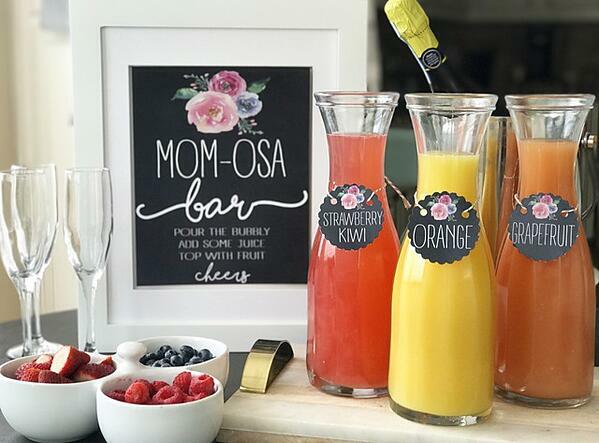 Create an instagram-worthy table with a variety of juices and sparkling soda or lemonade to create non-alcoholic mom-osas! Crisp Collective's tutorial provides printable drink labels as well as a printable sign like the photo below! Have all of your guests write out their predictions for the new baby! Not only is this a fun activity for your guests because they can compare answers, you will be able to take a walk down memory lane in a few years and see if any of the predictions came true! 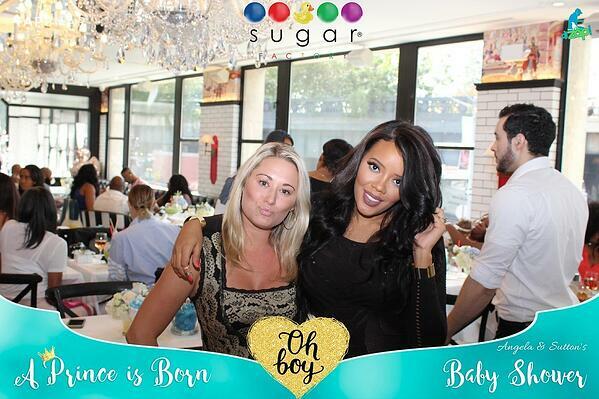 Pregnancy is a once-in-a-lifetime experience so why not capture it when you're surrounded with family and friends? A photo booth is a great way to document your memories during this special time. TapSnap offers completely customizable photo booths with fun features including animated GIFs, digital props, and custom green screens. With unlimited prints and social sharing, your guests will be able to share the photos on their social media platforms and have a beautiful keepsake to take home with them. 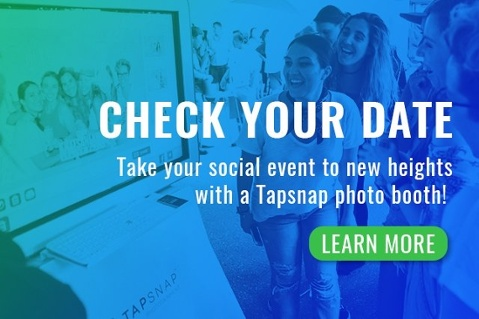 If you're interested in making your baby shower one to remember, you can find out more about TapSnap and what we do here or you can check your date below!